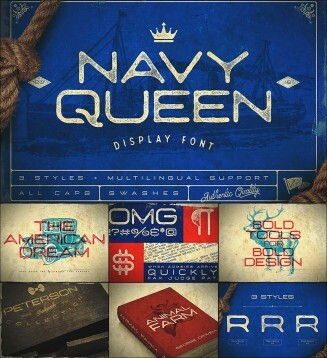 Introducing Navy Queen sans serif display font. Perfect for any vintage design project including posters, logos, crests, packaging, and so much more! 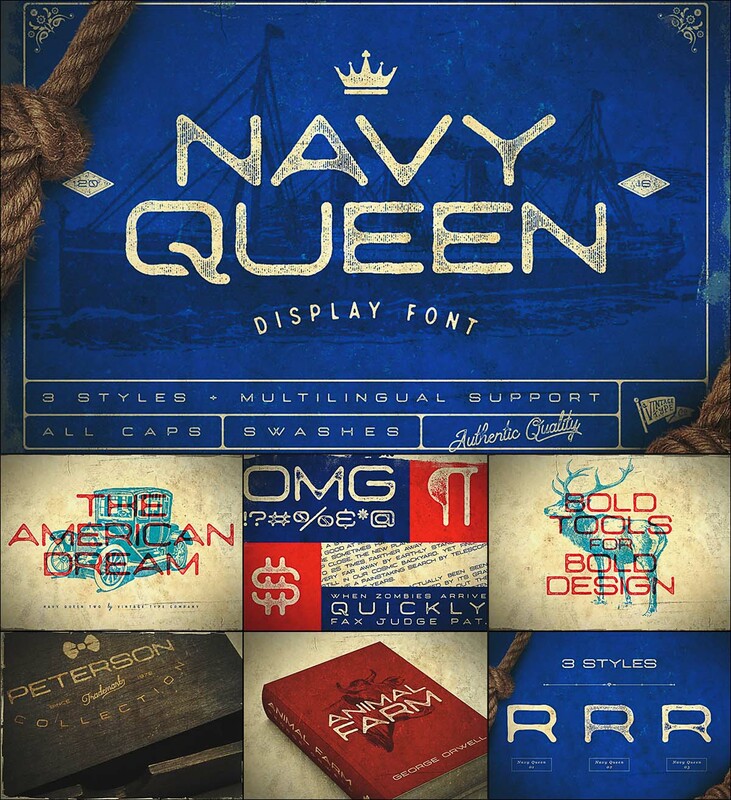 Tags: multilingual, navy, retro font, swash, wide font.